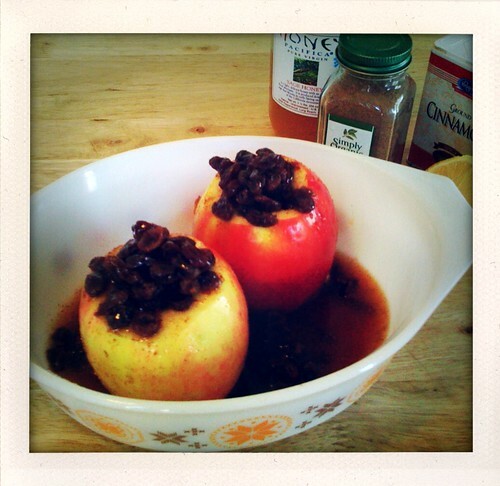 I'm trying a new baked apple recipe (in Gram's vintage Pyrex!) sans butter and sugar. Well see how they come out. I wish you could smell our house right now! Yum! sans butter and sugar?? Why? Why would anyone do such a thing?